Welcome to IleanaYoga. 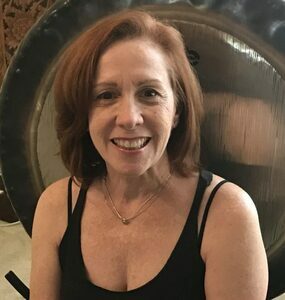 My name is Ileana Claffey, I am an E-RYT200 (Experience Register Yoga Teacher) and Yoga4Cancer (y4c) teacher with Yoga Alliance® (ID# 28845), and a Reiki Master/Teacher in the Usui Shiki Ryoho Reiki tradition. Learn more about me. What styles of Yoga do I teach? I teach all levels of Hatha yoga but my specialty is in beginner-friendly yoga. I specialize in Gentle, Yoga4Cancer, Chair, Yin, Restorative and Yoga Nidra.. View schedule. Private sessions are available by appointment. Yoga teaches you self-awareness. When you become aware of your body, breath, and the experience of being… you find yourself naturally nurturing your body, choosing healthy foods, and living a more mindful lifestyle. Change is gradual but long lasting. Learn more about yoga. Yoga4Cancer is a research based, specialized yoga methodology addressing the specific physical and emotional needs left by cancer and its treatments. Because all yoga is not the same, finding the right yoga teacher is the best first step. Learn more about yoga4cancer. CBD Infused Natural Care Products for Pain and Wellness Management can be infused to your Yoga and Reiki sessions. These oils are topical and relief localized pain and inflammation, creating a more relax physical, mental and emotional experience. Learn more about CBD Oils.